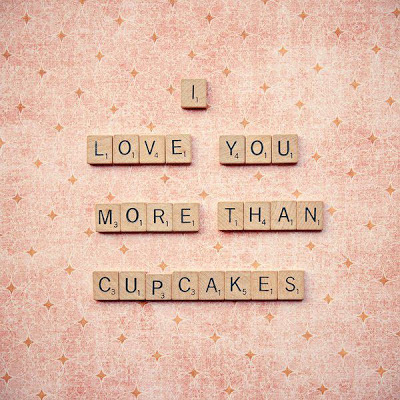 Here is a really adorable, quick and simple last minute Valentine's Day treat idea. I made a cute little teddy bear out of a tootsie roll and added a tiny little cherry tootsie heart in his arms for a sweet Valentine's Day touch. 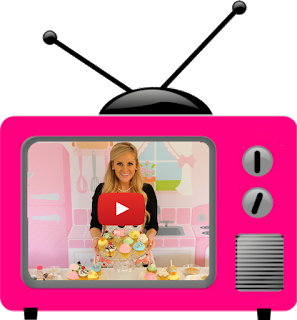 You can make these simple little teddies to top store bought or homemade cupcakes, cakes, brownie bites and more. The best part is they taste a lot better than fondant or store bought decorations! Make a ball for the head and a slightly larger ball for the body and stack them. The candy is sticky enough that each piece attaches by gently pressing it on. Create 4 log shapes for the arms and legs and stick them on. Lastly make 3 tiny flattened balls for the ears and muzzle and press them into place. Use a toothpick to create the eyes and mouth. 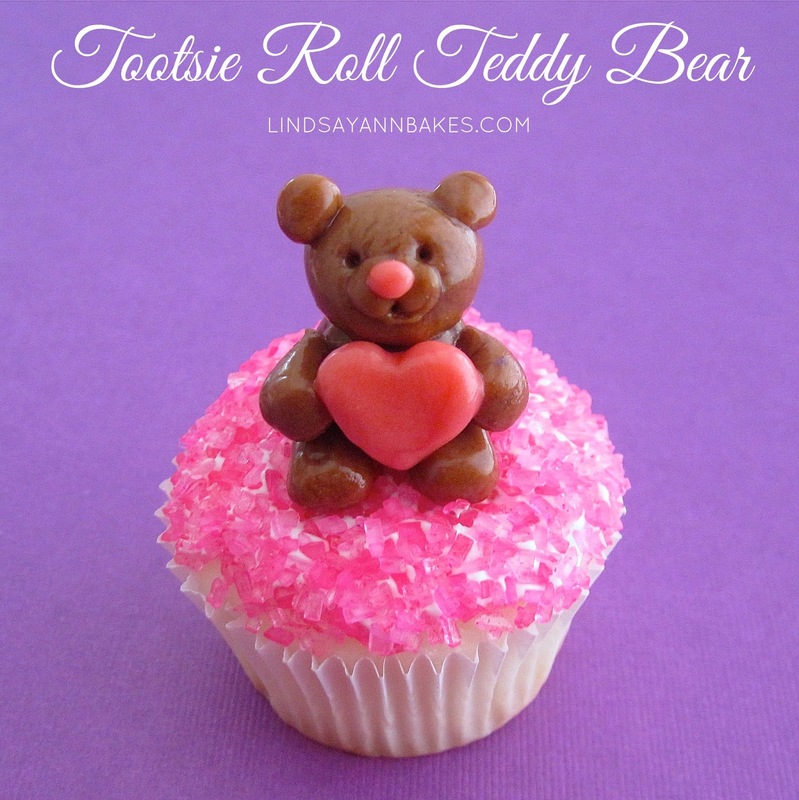 (I used one tootsie roll midgee to create a tiny teddy, just large enough to top a mini cupcake, but feel free to make them as large as you need.) For the heart and nose, I used a cherry tootsie roll midgee, but any fruit chew will work. Mold into shape and press on. Make as many as you desire to top a platter of treats for a work/class Valentine's Day party, or make one little teddy to top a store bought treat for a special anniversary treat. 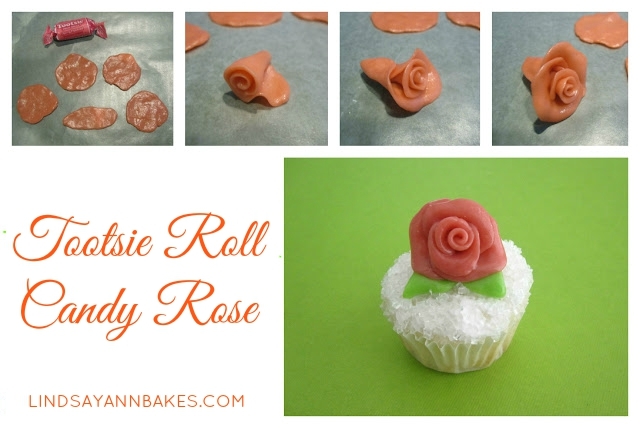 Be sure to also check out my tootsie roll rose topper tutorial for more fun, edible decorations!